Located in the heart of Key West's Old town is the home of legendary author, literary great and Nobel Prize winner Ernest Hemingway. Built in 1851 by salvage wrecker and marine architect, Asa Tift, it became Hemingway's home in the early 1930's. The home was built from excavated limestone from the buildings construction and is about 16 feet above sea level, making it the islands second highest point. 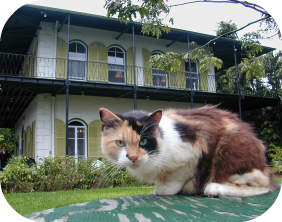 One of the most famous attractions of the museum are the cats. Ernest was given a white, six toed cat by a local ship's captain. These polydactyl cats still inhabit the grounds and most are decedents of this first one, named Snow White. All of his cats were named after famous people, this practice continues on to this day. 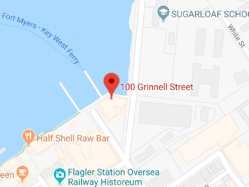 Located on Greene Street, close to Mallory Square, is the maritime museum that chronicles many of the ships that wrecked off the waters of Key West. The Santa Margarita, Henrietta Marie and the most famous of them all is the Senora de Atocha. The later was sunk in a hurricane in 1622 and was a Spanish Galleon laden with gold, silver, tobacco and a multitude of gems. 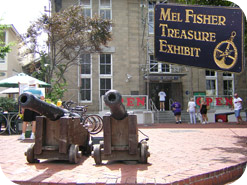 Inside the museum you will see many of the artifacts that were salvaged from these and other wrecks, as well as learn some of the rich history that made Key West what it is today. The national park is actually made up of seven islands. The largest of which is Dry Tortuga, where the historic, civil war era Fort Jefferson sits. Fort Jefferson was built as one of many such forts, from Maine to Texas, to protect the United States after the War of 1812. The fort was at one time used as a prison and perhaps its most famous prisoner was Dr Samuel Mudd, who was an accomplice to John Wilkes Booth, who shot Abraham Lincoln. During it's peak the population of the island was almost 2,000 in service men and their wives and families. Ponce de Leon actually discovered the island in 1513 and the islands were referred to as the Tortugas, due to the abundance of sea turtles that were caught in the area. Today the island offers fantastic diving and snorkeling opportunities, bird watching and over-night camping. There are tours of the fort, where you can learn more about the history of the area and the life that people experienced while living here. Let your worries and stress of the world melt away as you explore the wondrous world of Butterflies. Walking through the conservatory you will be greeted by hundreds of the most beautiful creatures to be found in nature, as well as many rare species of birds. In the Learning Center you can learn all about the lifecycle, feedings, anatomy and migratory habits. You can also pick up some unique gifts from the Gift Shop or wander through the Butterfly Galleries Wings of Imagination. Step back in history to the year 1856 and the time of the wreckers. Wreckers in Key West were those intrepid souls that would salvage ships floundering and sinking on the off-shore reefs. These ships would typically be loaded with gold, silver and any other merchandise that would be bound to or from the Caribbean. 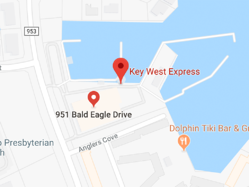 This industry made Key West one of the richest cities in America. With over 100 ships a day passing Key West, a number of them were bound to wreck on the reefs that were known to be some of the most treacherous anywhere in the world. In fact, there was an average of one wreck per week, somewhere along the off-shore reefs. From the observation tower wreckers would watch the reefs, in the hope of being the first to spot a wreck. The first person on a wreck controlled the salvage operations and would accordingly receive a larger share of the prize booty. As railroads became more frequent and improvements to the sea going navigational aids, ship wrecks became more and more scarce and the wrecking courts, where the shipwreck goods were sold and profits distributed were officially closed in 1921 thus ending the wrecking industry of Key West. 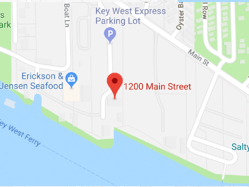 With these and many other things to do and see in Key West, we invite you to come to our Caribbean paradise and explore all that Key West has to offer and more.